All this adverse information is kept in a credit report and accessed by credit bureaus. Paying debt does not also take someone off the list, the negative listing will remain on record for at least two or even five years depending on blacklisting category. Judgment listing runs for 5 years, administration and sequestration order for 10 years, rehabilitation order for 5 years, adverse enforcement listing for 2 years, adverse subjective listing for 1 year and negative status codes on your account payment history for 2 years. The first step to challenging a blacklisting is to request a credit record. 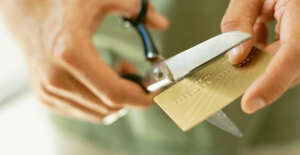 The new credit act allows that you can have at least one free credit report a year. The list will show creditors and status next to each line. All blacklisting can be deleted and a consumer has the right to challenge any information listed on your credit profile which is deemed inaccurate. Court judgements can be rescinded by the court that granted the judgement in question. Once rescinded, the credit bureaus must remove the judgement listing. Adverse information can also be removed on instruction by the creditor by way of payment of the outstanding account. Administration, debt counselling and sequestration notices can also be removed following an application to court. The above is how blacklisting can be challenged and ultimately avoid the various impediments which come with being blacklisted.